PATTERSON (Paterson), WALTER, army officer, land proprietor, and colonial administrator; b.c. 1735 near Rathmelton, Co. Donegal (Republic of Ireland), eldest son of William Patterson and Elizabeth Todd; m. Hester Warren 9 March 1770 and they had at least four children; d. 6 Sept. 1798 in London, England. The career of Walter Patterson is inextricably bound up with the land question, the foremost issue in Prince Edward Island politics prior to confederation. After St John’s Island, as it was then called, passed into British hands in 1763, it was divided into 67 townships or lots of approximately 20,000 acres each. These, with the single exception of Lot 66 containing about 6,000 acres, were granted to influential individuals in Britain in the summer of 1767. The conditions attached to the grants were unrealistic and, toward the latter part of the 18th century, increasingly anachronistic: principally, each township was to be settled within ten years in the proportion of one person per 200 acres, alt settlers were to be Protestants from the continent of Europe or Protestants who had lived for at least two years in North America, and quitrents of between £20 and £60 per annum were to be paid to the royal treasury. Failure by the proprietors to adhere to these stipulations carried the penalty of forfeiture to the crown. Such was the plan; in practice the proprietors did not fulfil the conditions, yet managed to retain possession. For almost a century, Island settlers, a large proportion of them tenants of absentee landlords, clamoured for the land to be confiscated and granted to them. The origins of the land question can be traced in large part to the failure of Walter Patterson, during his 17 years as governor, to cope adequately with his responsibility as public administrator of a privately owned colony. Little is known of Patterson’s early life. He entered the British army on 29 Dec. 1757 as an ensign in Thomas Gage’s 80th Foot. Gage had served in Ireland between 1744 and 1755 with the 44th Foot, and it is possible that Patterson made his acquaintance during that time. The 80th was the first British regiment to be trained from the outset in irregular tactics, and it served under Abercromby in 1758 at Fort Carillon (Ticonderoga, N.Y.) and with Amherst in 1759 on Lake Champlain, and along with Robert Rogers’ rangers it was used in skirmishing and reconnaissance and as the advance guard for the army. Patterson was promoted lieutenant on 4 Oct. 1760, and on 26 Oct. 1762 was granted leave to go to Europe. Patterson continued on leave until 24 Nov. 1764 when his name no longer appears on the list of army returns. His regiment was disbanded the following month. With his army career behind him, Patterson seems to have turned to land speculation and colonization ventures in New York and St John’s Island. In July 1764 he and Charles Lee, a former officer in the 44th, acted as intermediaries to secure Lord Holland 60,000 acres of land in New York. As a reward for their efforts Holland and the Earl of Hillsborough, president of the Board of Trade, promised to secure each of the two men 20,000 acres. On 29 November Hillsborough presided over a session of the board which recommended royal confirmation of these grants. The royal mandamus of 19 December provided for 20,000 acres “in one contiguous tract, in such part . . . of New York as he [Patterson] . . . shall choose” and was approved by the New York Council the following month. Patterson selected land on the Connecticut River, although as late as 15 Nov. 1771 a patent had not been issued. On 16 Dec. 1772 his name headed a petition for a further grant of 24,000 acres on the Connecticut River to be erected into a township. It is not known whether the petitioners were successful. 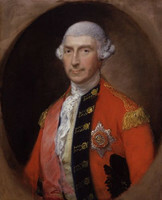 In 1764 Patterson’s name was among those of 20 reduced army officers, including Allan Maclean, Francis McLean, and Charles Lee, on a memorial of the Earl of Egmont to the Board of Trade seeking a grant of the entire island of St. John’s. On 23 July 176717 of the officers named in the 1764 memorial, including Charles Lee, received 10,000-acre parcels of land in Lots 18 to 26 inclusive. Patterson became co-owner of Lot 19 with his brother John, the only grantee for the nine lots not on the 1764 list. The following year Patterson played an active role in the effort, supported by a majority of the proprietors, to have the Island separated from Nova Scotia, of which it was then a part, and made into a separate colony. The British government acquiesced, on condition that the proprietors agree to support the civil establishment out of the quitrent fund. 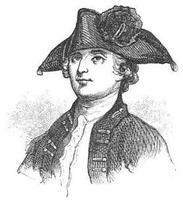 Walter Patterson was appointed governor on 14 July 1769 and arrived at his capital of Charlottetown on 30 Aug. 1770. The problems confronting Governor Patterson were daunting. The population of the entire colony was a mere 300, most of them Acadians who did not speak English. The capital city had only a few crude houses and no public buildings. The civil officers were an unpromising lot, a hungry contingent of disaffected office-seekers with little, if any, previous administrative experience, depending for a tenuous subsistence on the collection of the quitrents. The proprietors, saddled with conditions the fulfilment of which would have bankrupted all but the most wealthy, were disposed to regard their property as a windfall and their obligations an inconvenience to be avoided. In dealing with such a difficult situation the governor of a small and strategically insignificant colony could expect little attention, much less substantial assistance, from a British government preoccupied with global politics. Patterson assumed his new duties with characteristic energy. In September 1770 he took the oath of office and appointed an executive council. During the next several years a number of ordinances were passed dealing with matters as diverse as the protection of the sea cow (walrus) industry and the prevention of masters of vessels from carrying away settlers who were in debt. It was with some trepidation that Patterson forwarded these ordinances to Hillsborough, now secretary of state for the American Colonies, asking to be excused “What ever Errors may be found in them” since they were “among the first of our productions of that nature. . . .” Patterson also obtained permission to appoint a surveyor general, Thomas Wright*, after complaining that the township boundaries were “merely imaginary, except upon the Map.” Unfortunately, it was much easier to pass ordinances than to enforce them, and “imaginary boundaries” were only too appropriate for a colony where the whole scheme of settlement looked much better on paper than in reality. Between the years 1770 and 1775 approximately 1,000 new settlers arrived in the colony, the large majority through the efforts of a few proprietors, most notably James William Montgomery [see William Montgomery], Robert Clark, and John MacDonald* of Glenaladale, known as Fear-a-ghlinne. Montgomery held the position of lord advocate for Scotland, one of the most important political appointments in Britain at the time. He attempted to set up a large flax farm on Lot 34 [see David Lawson*] and a commercial establishment at Three Rivers (the region around Georgetown) [see David Higgins]. Robert Clark, a Quaker merchant from London, with his partner Robert Campbell sent out about 200 people to the New London area of Lot 21 in 1773–74. John MacDonald purchased Lot 36 and his brother Donald accompanied a party of 210 Scottish Catholic Highlanders as settlers there in 1772. Each of these men expended, and lost, thousands of pounds; yet, according to the strict terms of the original grants, their property was liable to confiscation because none had settled his land with Protestants from outside the British Isles. Proprietor-sponsored immigration practically ceased with the outbreak of the American revolution in 1775. Not surprisingly perhaps, Patterson took no overt action to enforce the quite unreasonable conditions of settlement; a more pressing consideration was the collection of quitrents, upon which the survival of his government depended. At first Patterson himself held the crucial position of receiver general with a deputy in London. By 1774, however, the post had been procured by William Allanby, a member of the Island Council. Allanby soon quarrelled with Patterson and departed for England, leaving behind neither a list of the proprietors nor the amount that each owed. The collection soon lapsed, frustrated by the proprietors’ resistance and administrative incompetence. By 1775 roughly £3,000 had been paid, the arrears were over £6,000, and the civil officers were left to subsist under extremely adverse conditions on a fraction of their nominal salaries, a circumstance which provided both motive and justification for measures to lay hands on proprietor-owned land. Throughout his régime, Patterson was preoccupied with the problem of enforcing the collection of quitrents through legislation. The initial effort, an ordinance passed by the Council in 1771, became an act when the first House of Assembly met in July 1773. It failed to receive royal assent and was re-enacted by the assembly in October 1774 to correct “two manifest inaccuracies.” This act provided for the collection of the quitrent arrears through the seizure (distraint) of goods, or, failing that, for the sale of sufficient land at public auction to meet the debt. No express provision was made either for advance notice to the proprietors or advertisement of the sales in Great Britain. For rather complicated reasons, largely of convenience, the legislation applied only to those proprietors who had signed the petition requesting a separate government in 1768, a document Patterson professed to regard as “a Contract between the signers of it and the Crown.” Approximately 50 lots were thus exposed to the possibility of sale. Armed with this legislation, which had not yet received royal assent, Patterson wrote to Lord Dartmouth, secretary of state for the American Colonies, on 2 Sept. 1774 requesting a seven-month leave of absence, stating that he would be “of more service to the Island, by spending a little time among the Proprietors at Home, than I can possibly be of, in the same space, by remaining here.” He sailed from Charlottetown on 2 Aug. 1775. Patterson remained in England for the better part of five years. There he displayed a considerable skill in manipulating the proprietors to serve his own interests, in the guise of promoting theirs. He initiated a series of meetings, resulting in a memorial, supported by about 20 proprietors, which was forwarded to the Privy Council in February 1776. It requested that the British government make provision for the civil establishment of St John’s Island, that the Quit Rent Act of 1774 be put into effect, and that some concessions be granted proprietors with regard to the payment of quitrents. On 10 April 1777 Patterson was informed that parliament had voted £3,000 to support the Island government “for the present year,” an amount which became institutionalized as an annual grant. This was perhaps the outstanding achievement of his governorship, for without it reannexation to Nova Scotia would have been a virtual certainty. Early in 1776 royal assent was given to the Quit Rent Act, and on 7 August a Treasury minute was issued directing the receiver general to “take proper measures” to enforce collection of the arrears, which were to be applied to the payment of salaries still owing the civil officers for the period 1769–77. Far from receiving concessions, the proprietors had imposed on them, by order of the Treasury in 1778, the inconvenience of being obliged to pay their quitrents on the Island only, a measure apparently solicited by Patterson and opposed by Receiver General William Allanby. Patterson returned to the Island in the summer of 1780. He now had an opportunity, perhaps unique in early Island history, to break the land monopoly of the absentee proprietors. His quitrent legislation had been ratified by the appropriate British officials, the majority of the proprietors were complacent or disinterested, and, with the outcome of the war in the colonies still uncertain, Island land was conceived to be of little value. He quickly consolidated his position by appointing his brother-in-law, William Nisbett, acting receiver general of the quitrents, and by reaching an accommodation with his attorney general, Phillips Callbeck, who had been demanding half of Patterson’s salary for officiating as governor between 1775 and 1779. On 26 Nov. 1780 he secured the agreement of the Council to put the Quit Rent Act into effect. In order to expedite proceedings, the council voted on 19 Feb. 1781 to dispense with the formality of distraint and to take action against “the land only,” except where the proprietors were themselves present. This action was illegal in that it contravened the 1774 quitrent legislation. It was not to be an isolated incident. After a series of hesitations and delays, the land sales were finally held, at the home of Charlottetown tavern-keeper John Clark, some time between 13 and 15 Nov. 1781. Secrecy, confusion, and controversy surrounded the event. The only purchasers were officers of government and no actual money was paid, the land being claimed in lieu of salary arrears. Patterson himself obtained three whole and four half townships, plus an additional 70,000 acres in the names of four of his English acquaintances. Chief Justice Peter Stewart*, who had made an appropriately tempestuous entry into Island life on board a vessel wrecked off the north shore during an autumn gale in 1775, acquired half of Lot 18, the property of William Allanby. 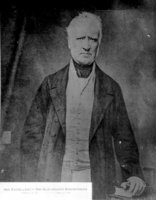 Lieutenant Governor Thomas Desbrisay*, a man who harboured a deep resentment against the world in general and Patterson in particular, claimed Lot 33. Phillips Callbeck, now Patterson’s principal officer-accomplice, outbid Chief Justice Peter Stewart for the much sought-after Lot 35. After the land sales of 1781, Patterson spent the rest of his political life on the defensive. In orchestrating the event, he had made, or allowed, several critical errors. By claiming so much of the spoils for himself, he earned the lingering resentment of his fellow officers, particularly Stewart and Desbrisay, who were implicated but not satiated. Blunders were made, too, in the choice of which of the 50-odd available lots were to be sold. By his own admission in 1783, Patterson went out of his way, illegally, to “save” land belonging to several influential proprietors, notably George, Viscount Townshend* and James William Montgomery. His own appropriations brought him much of the most valuable land in the colony, including Lot 49, the property of Robert Clark. Lot 35, acquired by Phillips Callbeck, was known to be much coveted by John MacDonald, the owner of the adjacent Lot 36. The land of some of the inactive proprietors could probably have been seized with impunity; it was foolhardy to tamper with lots belonging to the few men who had gone to considerable expense to send out settlers. Patterson later acknowledged receiving this bill in the late fall of 1783. Unwisely, he chose to do everything in his power to frustrate its intent. The bill would have provided a solid basis, sanctioned by the British government, for the future sale of land because of non-payment of quitrents. Moreover, the terms upon which the sold lots were to be returned – the former proprietors were given one month to pay the 1781 purchase price, plus interest and compensation for improvements – ensured that in only a very few instances would possession by the officers be challenged. Patterson adopted a tactic of delay. He kept the 1783 bill secret throughout the winter of 1783–84. Then, in March 1784, he called a general election in the hope of obtaining an assembly which could be trusted to reject the bill. Phillips Callbeck resigned his seat on the Council to lead the pro-governor faction. Callbeck was opposed, and defeated, by a party led by John Stewart*, an able but intemperate young man whose animosity toward the governor was intensified by the knowledge that Patterson had been intimate with his stepmother, the wife of the chief justice. Rather than entrust the bill to such an assembly, Patterson decided to implicate the Council in the effort to suppress it. On 20 March, over the strong objections of Peter Stewart and Thomas Desbrisay, the Council passed a motion stating that the bill would be withheld pending the reaction of the British government to a “humble petition and remonstrance” explaining why the overturning of the sales would be detrimental to the colony. The already Byzantine political situation on the Island was further complicated in the summer of 1784 by the arrival of several hundred American loyalists. Patterson had been active in seeking loyalist settlers as early as the winter of 1782–83, when preparations were under way for the evacuation of New York. His brother John Patterson went to London and managed to cajole some of the proprietors into supporting yet another memorial, this one dated 29 June 1783. These proprietors agreed to give up to loyalists one-quarter of the land signed for opposite their names; in return, they requested the usual abatement of quitrents, and asked that the British government supply transportation and provisions for those loyalists wishing to go to the Island. Governor Patterson received approval in principle for this scheme late in 1783. The loyalists who came were immediately involved in the land sales controversy. Since most were given locations on the disputed lots they had a vested interest in opposing the return of this land to the original proprietors, at whose hands they quite rightly feared eviction. In London, meanwhile, the lobbying proprietors were growing impatient. 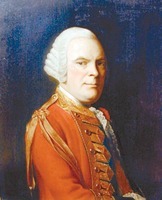 Early in 1784 John Cambridge*, Robert Clark’s agent, was sent to Charlottetown, where he found the anti-Patterson faction brimming with information and ready to talk. Now in possession of a detailed account of recent proceedings on the Island, Robert Clark “and others” on 27 August petitioned the Board of Trade for redress. Their lordships expressed surprise that the governor and Council had taken it “on themselves to disobey a positive injunction of His Majesty . . . .” They observed, also, that the petition and remonstrance promised in the Council minutes of 20 March had not been forthcoming. Accordingly, a “Sloop of War” was ordered to the Island expressly to bring back “the papers and Evidence that the Governor and Council must naturally be so anxious to submit to the Lords of the Committee.” When the ship returned to London in February 1785, Patterson’s “Facts and Reasons” were judged inadequate. Moreover, it was now apparent that many irregularities had accompanied the sales. The former proprietors were therefore informed that they were “at liberty . . . to prosecute . . . their Remedy at Law for the Recovery of their said Lots.” Emboldened by this success, the proprietors now pressed their advantage and requested that the text of the 1783 bill be revised in their favour. The delay occasioned by this procedure gave Patterson time for a few last desperate manœuvres. In the spring of 1785 Patterson suspended the chief justice and appointed three of his own supporters to replace him, thereby effectively denying his proprietor-opponents recourse to Island law courts. He also staged another general election. This time the pro-governor faction was victorious, with strong loyalist support. On 20 April 1786 the assembly passed a bill ratifying the 1781 land sales, “any want of legal form, or other irregularity whatever in such proceedings notwithstanding . . . .” In his dispatch to Lord Sydney, secretary of state for the Home Department, justifying this legislation, Patterson remarked that since he had had no recent official communication regarding the 1783 bill, he assumed “His Majesty’s Ministers in their wisdom had seen fit to let the matter drop . . . . Although now forced to give up his government to Edmund Fanning, Patterson remained on the Island for more than a year, meddling in politics, protecting his interests as a landowner, and engaging in trade. By 1789 he was back in London, making a final, and futile, attempt to regain his former influence among the proprietors. Now bankrupt and helpless before his many enemies, he was apparently imprisoned for debt, and his vast estate on the Island, for which he had risked so much, was sold to satisfy his creditors. He died in poverty at his lodgings in Castle Street, Oxford Market, London, on 6 Sept. 1798. Walter Patterson has long been a favourite of Island historians. His initiative and daring have certainly distinguished him among a generally lacklustre group of colonial administrators. In recent years, some historians have tended to romanticize his career, depicting him as an Island patriot fighting for local independence against an unholy alliance of grasping absentee proprietors and an indifferent British government. Captain John MacDonald once characterized him as a man of “an amazing cleverness . . . mixed with an equal proportion of folly and madness,” who “rose from nothing, & would have done extremely well, had he known where to stop. . . . Along with a functioning, separate colonial government, under the circumstances a major achievement, he left to his successors a chaotic administration, a history of intense factional rivalry, and an entrenched system of absentee proprietorship. Patterson’s failure to bring about reform during the early, malleable period when change was most possible, and the particular way in which he pursued his self-interest among the competing claims of absentee proprietors, government officials, and tenants, largely determined the issues about which the struggle over land would revolve for the following one hundred years [see Edmund Fanning, William Cooper*, and George Coles*]. Clements Library, Thomas Gage papers, American ser., Patterson to Gage, 16 April 1771; Gage to Patterson, 8 Aug. 1771, 7 June 1775; Germain papers, Walter Patterson, “Observations on the Island of St. John in the Gulf of St. Lawrence . . .”; Patterson to Germain, [ 1778], Proposal for offering America a liberal constitution and for erecting coastal forts; Shelburne papers, Patterson to Shelburne, “Mr. Paterson on the preservation of his majesty’s timber in America”; Patterson to Shelburne, 22 June 1782. PAC, MG 19, E2. PRO, BT 5/2, ff.21, 28, 124; 6/102, ff.112, 118, 126; CO 226/1, ff.11–13, 21, 45–46, 95–100, 102–12; 226/2, ff.21, 27–28, 33; 226/3, ff.15–17, 58–61, 62–71; 226/4, ff.32, 65: 226/5, ff.11–12; 226/6, ff.132–34, 142; 226/7, ff.82–83; 226/8, ff.72–80, 92–93, 270; 226/9, ff.147–49; 226/10, ff.l–2, 31–32, 94; 226/17, ff.108, 115–16; 228/1, ff.40–41; 228/2, ff.69–70, 73–75; 229/2, ff.48–63, 81–82; WO 17/1490, f.3; 25/25; 25/209. Public Archives of P.E.I. (Charlottetown). MacDonald papers, John MacDonald to Nelly MacDonald, 19 July 1783; John MacDonald to Nellie and Peggy MacDonald, 27 June 1785, 27 March, 12 Sept. 1789; RG 5, “Report of Richard Jackson to the Board of Trade on acts passed in 1773,” in “Proclamations and orders in Council relative to the allowance or disallowance of acts of Prince Edward Island,” 1; RG 16, Conveyance registers, 1.7, ff.98–99. ... Amherst, Journal (Webster). [J. P. Egmont], To the king’s most excellent majesty, the memorial of John, Earl of Egmont . . . ([London, 1764? ]), 31. Gentleman’s Magazine, 1798, 815. G.B., Board of Trade, JTP, 1764–67, 116–17. Johnson papers (Sullivan et al. ), IV, 133,609; XIII, 328–30. The Lee papers (2v., N.Y. Hist. Soc., Coll., [ser.3], IV, V, New York, 1871–72), I, 48–52, 92, 96, 112–16. [John MacDonald? ], The criminating complaint of the proprietors of the Island of St. John whose lands were condemned and sold in 1781 (London, 1789); Information for the officers of the navy and army, proprietors of land in the Island of St. John’s in the gulph of St. Lawrence, and for the other now remaining proprietors thereof (n.p., n.d.), 9–10; Remarks on the conduct of the governor and Council of the Island of St. John’s, in passing an act of assembly in April of 1786 to confirm the sales of the lands in 1781 . . . (n.p., [1789? ]), 37, 81. PAC Report, 1905, I, pt.ii, 6–10. ... British officers serving in North America, 1754–1774, comp. W. C. Ford (Boston, 1894), 80. “Calendar of [New York colony] Council minutes, 1668–1783,” N.Y. State Library, Annual report (Albany), 1902, II, 520, 526, 571. G.B., WO, Army list, 1759, 133; 1760, 138; 1763, 144. N.Y., Secretary of state, Calendar of N.Y. colonial manuscripts, indorsed land papers; in the office of the secretary of state of New York, 1643–1803 (Albany, 1864), 354, 379, 547, 584. R. C. Archibald, Carlyle’s first love, Margaret Gordon, Lady Bannerman; an account of her life, ancestry, and homes, her family, and friends (London and New York, 1910; repr. New York, 1973), 6–7, 10. Duncan Campbell, History of Prince Edward Island (Charlottetown, 1875; repr. Belleville, Ont., 1972), 30–31. Frank MacKinnon, The government of Prince Edward Island (Toronto, 1951; repr. ), 11. John Stewart, An account of Prince Edward Island, in the gulph of St. Lawrence, North America . . . (London, 1806; repr. East Ardsley, Eng., and New York, 1967), 201. David Weale and Harry Baglole, The Island and confederation: the end of an era (n.p., 1973). J. M. Bumsted, “Sir James Montgomery and Prince Edward Island, 1767–1803,” Acadiensis, VII (1977–78), no.2, 76–102..
Harry Baglole, “PATTERSON, WALTER,” in Dictionary of Canadian Biography, vol. 4, University of Toronto/Université Laval, 2003–, accessed April 24, 2019, http://www.biographi.ca/en/bio/patterson_walter_4E.html.